New Engines for the B-52H? 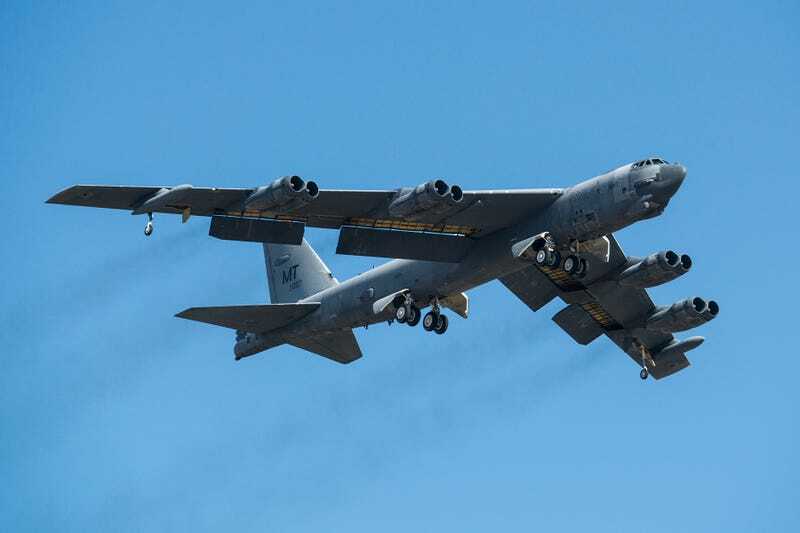 The US Air Force is moving ahead with plans to re-engine the venerable B-52H and keep it flying until at least 2050. Interestingly, one of the leading ideas is not to replace the eight Pratt & Whitney TF33 low-bypass turbofans with four modern airliner engines, but with eight regional/business jet engines each providing 17,000-19,000 pounds of thrust. P&W, GE and Rolls-Royce are all vying for a contract that would call for over 600 new engines. Using eight smaller engines rather than four large ones would require fewer modifications to the wings and keep the Buff closer to its original aerodynamic design.